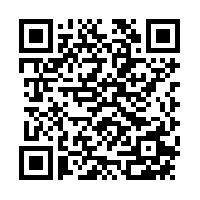 *updated* 12/17/2011 - check out Google Count Print! Now that your Android tablet or phone has become the primary device for viewing emails, surfing websites, and working with documents, printing those media certainly becomes a bit more challenging. 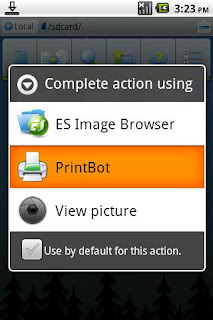 Previously, Android printing consists of you sending the document or website to a PC connected to the printer on your network. This means that not only do you have to walk to your PC; you would have to turn it on, download the document, and initiate the printing process. Sounds like a big inconvenience? 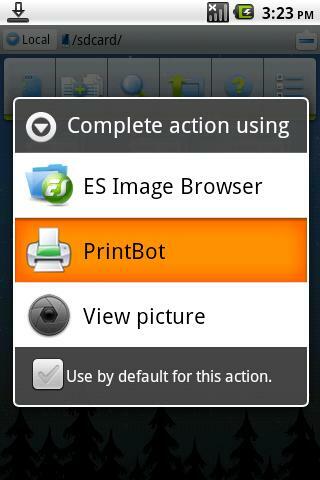 PrintBot support more than 2700 printers from common household brands such as HP, Canon, Epson, Lexmark, and Brother, which uses driver data directly from their servers, so little memory used on your Android device. There are two version of the app: 1) Free – Has a 3 page pdf printing cap per print session 2) Paid – Cost about $5 and has unlimited printing. 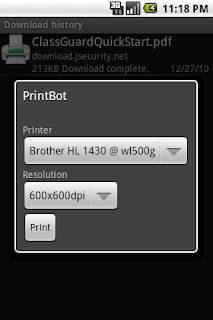 They also have a workaround for those printers not connected to the network. Read it here.